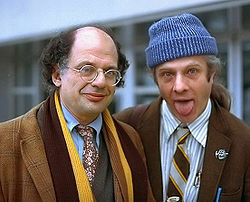 Ginsberg won the National Book Award for his book The Fall of America. In 1993, the French Minister of Culture awarded him the medal of Chevalier des Arts et des Lettres (the Order of Arts and Letters). 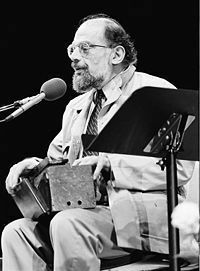 Irwin Allen Ginsberg (pronounced /ˈɡɪnzbərɡ/; June 3, 1926 – April 5, 1997) was an American poet. 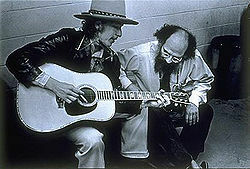 Ginsberg is best known for the poem "Howl" (1956), in which he celebrates fellow members of the Beat Generation and critiques what he saw as the destructive forces of materialism and conformity in the United States.